Anyone can own an iPhone, but only YOU can own YOUR iPhone! Right out the box, you can make changes to your iPhone such as organizing your apps and choosing which wallpaper you like best. But there are many more things you can do to make your phone as unique as you are. The secret to true customization is in choosing the best apps that transform your iPhone into one that reveals your style, likes, and personality. The following list reveals the best apps to customize your iphone. This app contains over 40 adorable wallpapers to choose from, and even allows you design your own cartoon-based wallpaper if you want to show off your creative side and make your phone truly unique. And if you are in a sharing mood, you can easily email your creations to your friends! There are also over 240 icon frames available, including everything from butterflies to strawberries. But why stop there? Frames for your most-visited webpages can also be chosen and then saved to your home screen for quick, convenient access. New frames and wallpapers are added all the time so that your iPhone can alway have a fresh, new look. Click https://itunes.apple.com/us/app/cartoon-monster-home-screen/id559779637?mt=8 to download Cartoon Home Screen Wallpaper Maker. This award-winning customization app offers many different personalization options including several easy-to-browse categories of wallpapers, lock screen looks, and home screen themes. New items are available daily to keep your options wide open. Ever wonder how your new change will look on iPhone before saving it? 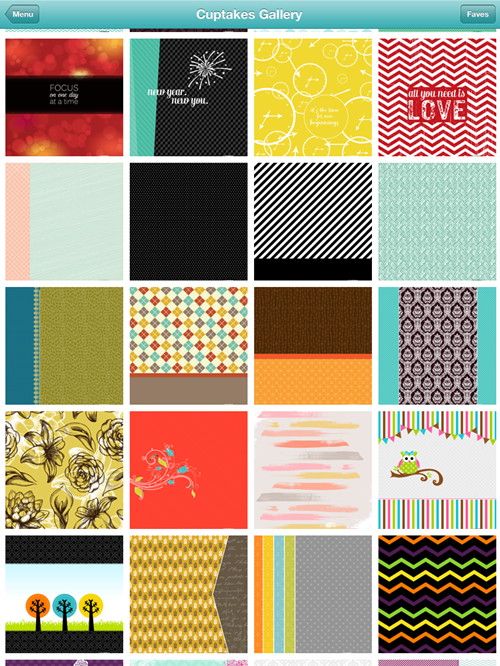 The preview feature allows you to see what your new wallpaper or theme will look before committing to it. And if you want to show your friends how great your iPhone looks, you can easily share your creation over several popular social networks. This colorful app is optimized for iOS 8. Click https://itunes.apple.com/us/app/pimp-your-screen-custom-themes/id749057895?mt=8 to download Pimp Your Screen. Icons are the personality of your iPhone, so giving them some customization that reflects your own personality is a great way to customize! 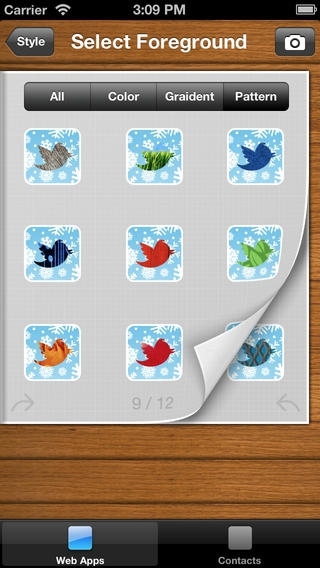 This app lets you choose and create icons from your photo album, your contacts and your web apps! It includes a selection of hundreds of images, borders, and backgrounds so that you can make your new icons look exactly how you want, and then arrange them the way you like. Unlike with many other icon design apps, you don’t need an Internet connection to get creative with this one! So get ready to impress your friends with your unique icons. Click https://itunes.apple.com/us/app/app-icons/id749100888?mt=8 to download App Icons+. Is your call screen boring? Liven it up with Call Screen Maker! This app allows you to transform your contacts and call screen by using a variety of different images, effects, face holes, frames, backgrounds and colors. You can create a different call screen for each of your contacts, and see your creativity pop up every time to receive a call. New images are added every single day. With the preview feature, you can see how your new call screen will look when each person calls and then decide if you like it or want to try something different instead. The possibilities are endless! Works with all iPhone versions. Click https://itunes.apple.com/us/app/call-screen-maker-your-best/id457516222?mt=8 to download Call Screen Maker. This app is one of the few that are primarily aimed at girls, and allows you to choose from many different categories consisting of over 450 colorful wallpapers, themes, shelf holders, icons and backgrounds. A neat feature of this app is that a new theme is customized automatically each month. If you have more than one iOS device, you can coordinate your favorite themes across devices, including your home and lock screens, with the same app. You can also create your customizations on the go without an Internet connection. Click https://itunes.apple.com/us/app/cuptakes-wallpapers-for-girly/id404098339?mt=8 to download Call Screen Maker. 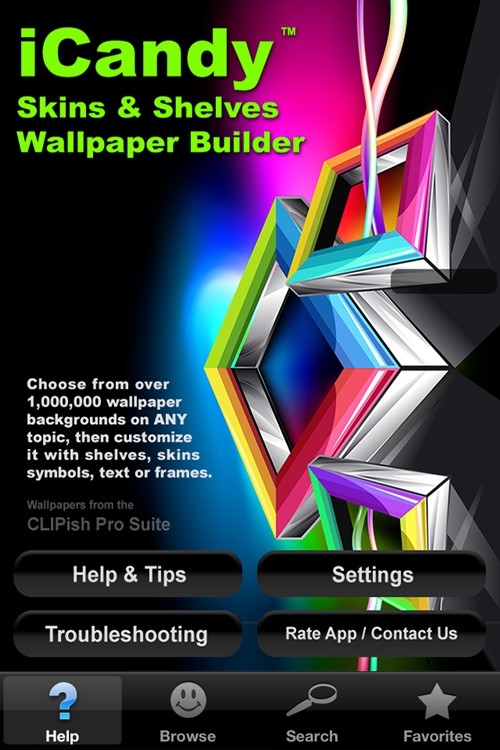 This popular customization app includes over a million different options, and offers the ability to add clip art, glow effects, shelves, icons, symbols, drawings, frames and text to your wall paper. With this many options, it is nearly impossible not to find something that works for you. You can choose pre-made designs or create your own! New items are added daily, and you can preview your choice before saving it, or view your selections as a slideshow. You can also share your creations using text, Twitter, email or Facebook, or use images included in the app as part of your social networking posts. 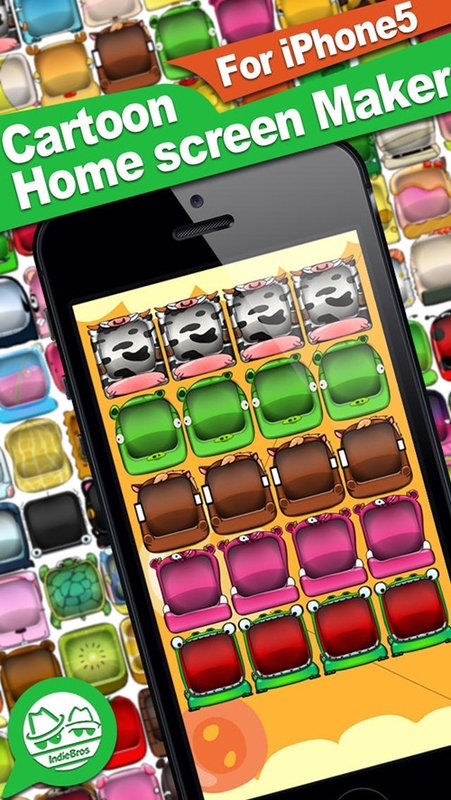 Click https://itunes.apple.com/us/app/icandy-shelves-skins-hd-wallpaper/id431494126?mt=8 to download Call Screen Maker. Server responsed at: 04/25/2019 4:33 p.m.